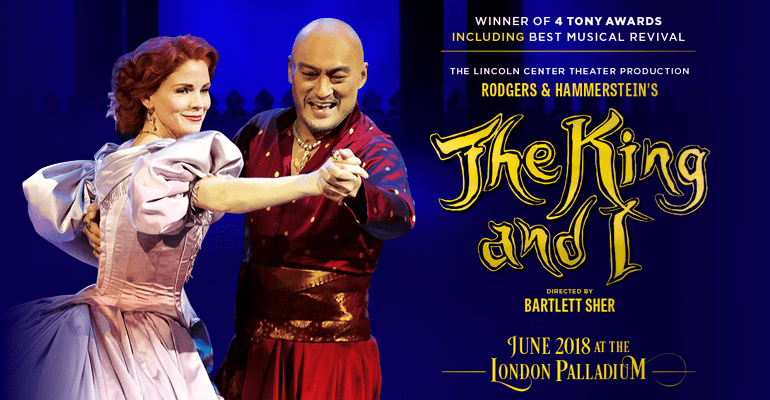 After a Tony Award-winning stint on Broadway, Bartlett Sher's Lincoln Center revival of Roger and Hammerstein's classic musical The King and I transfers to the West End’s London Palladium. Telling the story of an unexpected romance between a British schoolteacher and the King of Siam in 1860s Bangkok, the musical features an iconic score, with songs including "Whistle a Happy Tune", "Getting to Know You" and "Shall We Dance?". The Rodgers and Hammerstein musical loosely based on a true story first opened on Broadway in 1951 and has been regularly revived since then. Best known for his extensive film appearances, Ken Watanabe stars as the king, opposite six-time Tony Award-nominee Kelli O'Hara as Anna, who finally won a Best Actress in a Musical Tony Award for this role. Playing a strictly limited season, this magical musical promises to be one of the highlights of the summer with its cast of over 50 performers. Recommended 5+. Under 5's will not be admitted. Beautiful seats in the Royal Circle, fabulous orchestra and the show was absolutely magnificent. Brought back so many memories of watching this film as a child. Bravo!!! I went with my daughter yesterday as we both love the film with Yul Brynner. This production surpassed our expectations by far and my daughter said she felt it was better than the film. We enjoyed every second - the acting, the dancing and singing was just fantastic. Don't hesitate. Go see this before it's gone. It was worth every penny. We are still talking about it and how much fun it was.